Product length: 500 mm +/- 30 mm. diameter of the tube: 3.33 +/- 0.24 mm. bag diameter in the inflated state: 45.0 +/- 4.0 mm. 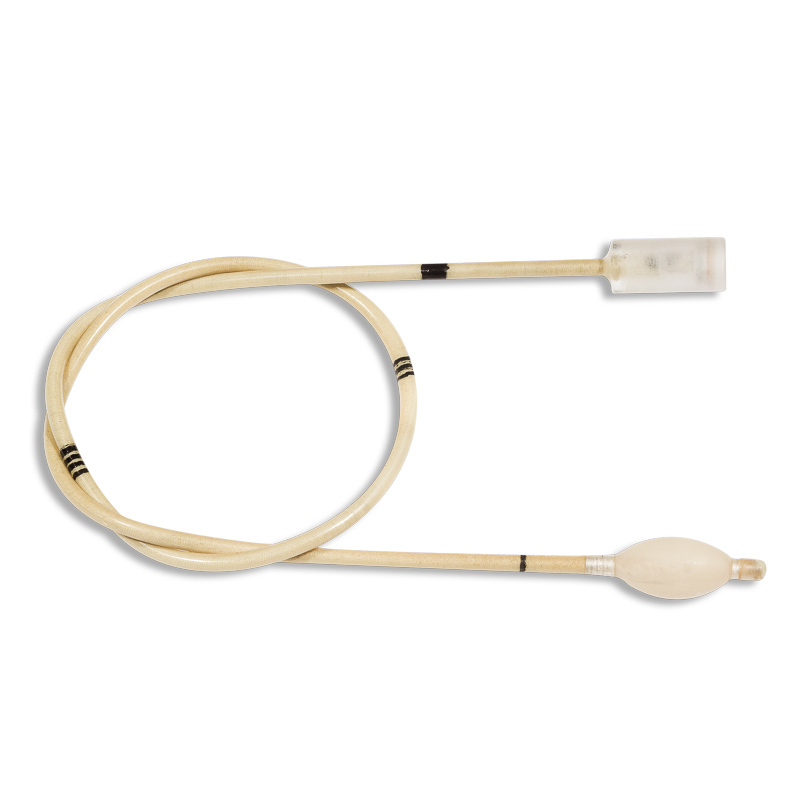 The bag probe for blocking is a kind of probe designed to block blood flow in the aorta and other large arteries during surgical operations on blood vessels. And this tool is also used to block bleeding when aortic rupture occurs. In addition, it is actively used in medical and diagnostic studies. PTGO SEVER produces bag probes for blocking blood flow in the aorta from high-quality non-toxic pyrogen-free materials. It is a hollow tube made of a metal spiral braided with a PETP thread and covered with a polyurethane polymer, at one end of which there is an inflatable balloon, and on the other side of the cannula with a locking device. The bag is made of a non-toxic biologically inert latex and is additionally secured to a silk thread. If you still have any questions about the characteristics of our probes, you can ask for more detailed information to our managers via the phones listed on the site, or write a request for mail: sever-spb7@mail.ru. All products have certificates and registration certificates.